1. Provide as much technical detail as you can about your computer or device, the software you are using and the version of the software. For example, saying ‘I’m on a PC’ is a good start, saying ‘I’m using Internet Explorer 9 on a Windows XP PC’ is even better. Sometimes it can be difficult to know what version of software you are using, but it can usually be found in a ‘Help’ or ‘About’ menu. In Internet Explorer you can find the version by going to ‘Help’ and then ‘About Internet Explorer’. If your website is not working correctly on your desktop computer, it would be useful to know if it is working correctly on your phone, or on an other computer. If it works on one and not the other then be sure to include the technical details about both devices. For example, if you say ‘my website crashes’ then the best a developer can do is open the website and try to make it crash, this could take them hours! But if you say exactly what you did to make it crash then they can follow those directions. A useful bug report would therefore be ‘my website crashes every time I click on the “home” button’. If you provide this info, along with the technical details of your computer or device, it will be fixed in no time! A lot of bug reports or technical issues simply say ‘it’s not working’. But in an ideal world they would include precise details about what exactly the problem is. Recently I received a message saying that a client’s emails were ‘not working’ but a more accurate bug report would have said ‘my emails keep asking me for a password that I have lost’. 5. If in doubt, take lots of screenshots! A bug can often be quickly reported by using PrtScn (or another method of screen capturing) to take a screenshot or two. A snapshot of a website glitch or an error message popup is a useful thing to see, but always try to include the other info listed here as well. From a screenshot a developer will be able to tell a lot about what software you are using, but it might still be a good idea to include the version or other details. A screenshot might make it obvious what you are doing to produce the bug, but if there are several stages, it’s worth including those as more images or as accompanying text. 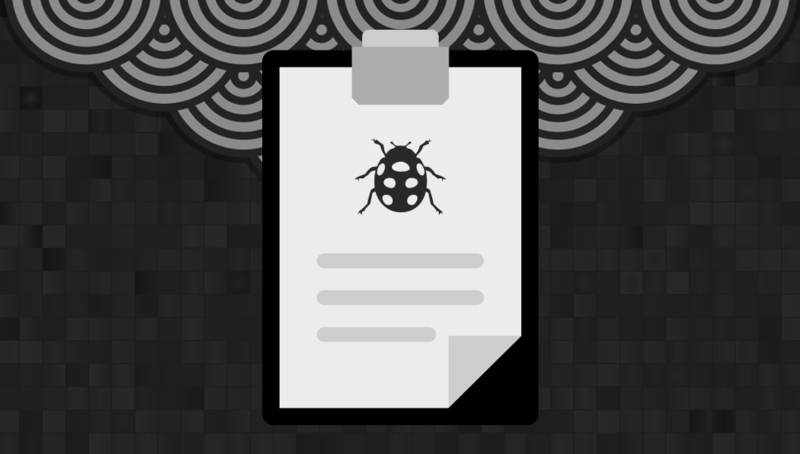 Dealing with bugs or technical problems can be a pretty difficult process, but there are few things that can be done to make bug reports more efficient. If you ever need help with a mysterious crash or an inexplicable error, read this before contacting your developer!